Highway 61 Roadhouse in Webster Groves, is hosting a special for Father’s Day weekend. 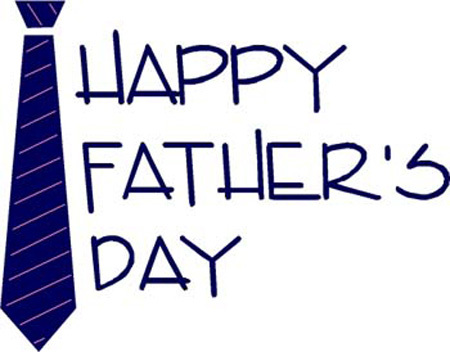 Bring your dad in with his ugliest tie and he’ll receive half off his meal (with purchase of entree or brunch). They will also have a Sunday brunch from 9:30am-1pm. Fleming’s Steakhouse is treating dad to a 3-course pre-fixe dinner for $85 from June 16-18. Menu items include roasted King Crab, Tomawawk steak, russet potato tots, and chocolate souffle. They are also having a Sunday brunch from 10am-3pm for $47.95. Balaban’s in Chesterfield will feature an all you can eat brunch buffet with hot and cold food stations, including: carved prime rib of beef, shrimp, crab claws, made to order omelettes and Frittatas, bacon, sausage, biscuits & gravy, and much more. 10am-3pm, $39 for adults (includes a free mimosa), $15 for kids. Bristol Seafood in Creve Coeur, is hosting a Sunday brunch from 9am-3pm or 4pm-9pm. They’ll have a prime rib station, smoked fish, a cold seafood bar, an omelet bar, tons of sides, and desserts. And the price is pretty good. $32 for adults, $16 for kids. The Melting Pot – University City is offering an awesome Father’s Day Feast starting at 12pm. Dads will enjoy a Father’s Feast featuring an all-meat entree for just $32 and it includes an ice cold Schlafly beer on the house. Gateway Arch Riverboat Brunch Cruise: This Sunday brunch cruise includes Dixieland Music and a brunch menu of Prime Rib, Cheese Blintzes, French Toast, pasta, salad, cakes and more. The cruise departs at 1pm. Cost is $45 for adults and $18 for children (3-12). What else can you do with dad this weekend? If your dad’s a car enthusiast: Check out the Kimmswick Auto Show in Kimmswick, MO from 10am-5pm. You can start by treating him to a lunch at The Dough Depot Cafe, The Tin Cup Bistro, or The Blue Owl Restaurant and Bakery. Then head out with full bellies to stroll the streets of Kimmswick and admire all the vintage cars on display. If your dad’s into fitness: Go! St. Louis is hosting their All American 5K & Fun Run this Sunday, June 18th complete with apple pie and ice cream. The 5K starts at 7:30am, Fun Run starts at 8:30am. Pay for your dad’s entry fee (5K-$30 if you register by 6/15, 1-Mile Fun Run-$18), run with him, jog leisurely behind him, or sit on the sidelines in your lawn chair and cheer him on when he passes by. Either way, it counts as quality time, and everyone wins when you get apple pie and ice cream. If your dad is a nerd (just kidding, sort of): Take him to the Museum of Transportation near Kirkwood, where he can spend the whole day reveling in the history of transportation…I haven’t been so maybe it’s cooler than I’m imagining. Either way, for one day only, Sunday, June 18th, admission is free. In addition, the Horseless Carriage Club of Missouri will be hosting a Father’s Day Car Show, plus there will be historic trolley rides, handcar rides, and a Rolls Royce raffle drawing. If your dad loves music: Take him out to the Bluesy Beer Garden at Pere Marquette featuring live Blues music, slow cooked BBQ pork steak sandwiches, and Schlafly Beer. The event starts at 12pm. There is no admission fee, just come out and enjoy a relaxing day of music. Of course, there’s plenty to do for all of the men…and women in St. Louis as well. Check our STL Weekend Event Guide for more events.